Please take a moment and sign my new guestbook so I know you stopped by. Great job at the Granton Fall Festival Parade. 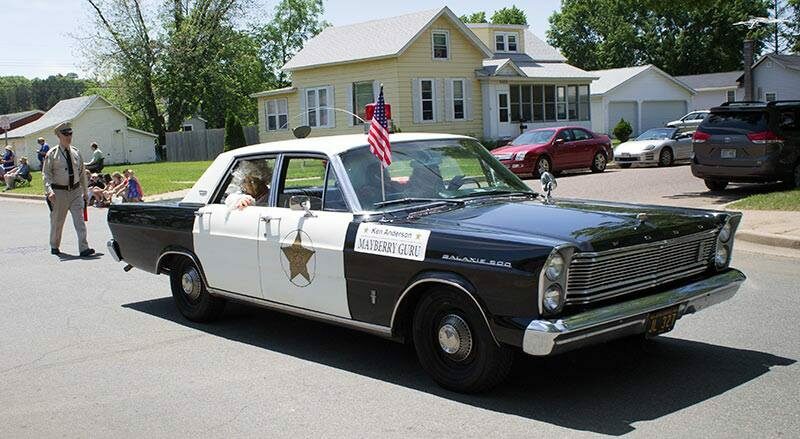 I loved your car and you were a great Barney Fife. I was recently in Eau Claire, Wi, I read an article about you in the motel. I am from Mount Airy, NC. Which was Andys home town. Which the show was based on. Just finished reading your latest Review article. Thanks for sharing your insight and dedication to TAGS. Sounds like you know how to enjoy life. Love the website!! See I signed your guestbook!!! However I don't see MY artwork on here yet!! I figured that you would have had it on here by now!! I wish I had a time machine. I would set it for 1960 and Mayberry and never come back.